I apologize for the tardiness of this post, but I had hoped to include Brotherwise Games’ iOS adaptation of their Boss Monster tabletop card game, but it has unfortunately been met with additional delays. That being said, if you can pull yourself away from the latest Periscope livestreams long enough, then you might enjoy some of these new iOS game releases. Silly Sausage in Meat Land is a rather charming platformer where players use swipe gestures to control a very, very stretchy ‘snake’-like dachshund, weaving him around levels to pick up diamonds and avoid bumping into traps. You may retract and backtrack at any time to avoid a saw blade or change course. There are checkpoints along the way, but you’ll either have to spend collected diamonds or watch ads to activate them. Like the name suggests, it is a neat, silly little game from Nitrome that has a classic feel to it, but is unlike anything I’ve played before. Next up is OLYM, the second game in Oink Games’ “MUJO” series. 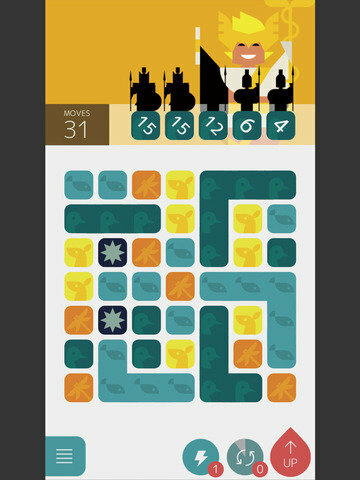 This sophomore title shares a similar aesthetic to its predecessor, but is a puzzle game in which you tap on lines of 3 or more connected pieces to increase your score. Collect groups of pieces of the same color (an minimum health) as one of the enemies to defeat them and if you can clear all enemies in a given level within a specified number of moves, you beat the level. There are also a number of special items to collect which keeps things interesting. I enjoyed MUJO (which is currently free as well) so I’m looking forward to playing more of this one as well. REBUS – Absurd Logic Game is a rather challenging rebus puzzle game where you must try to decipher the word represented by the image on the screen. For instance if you see a picture of a ‘B’ and a ‘D’ stacked atop one another, then the target word would be BOND (or ‘B’ ON ‘D’). I used to love trying to figure out the WHATZIT? puzzles that would appear in the newspaper and this offers that same kind of fun and challenge even though you are only trying to figure out a single word vs. a popular phrase. Some of the puzzles in REBUS seem to really ratchet up the difficulty. The game is free, but you earn coins as you go which can be used to purchase hints. Just in time for the theatrical release of the new film, Fast & Furious: Legacy offers iOS gamers, a familiar mobile racing experience, but one which features the cars, characters and locations from across all 7 Fast & Furious movies. There are Street, Drift, Drag, Getaway and Takedown gameplay modes and you can do all sorts of tuning and customization to the game’s 50+ different cars. While it doesn’t really seem to tread new ground, this game looks beautiful, is well polished and offers up a lot of fan service, especially via the Story Mode which lets you battle franchise villains. Compass Point: West is the first in a series of four planned titles from fledgling Finnish mobile game studio Next Games’. 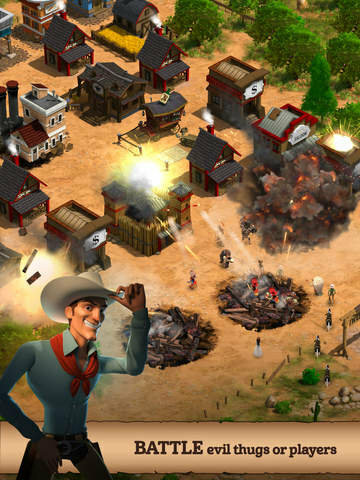 It is a free-to-download action strategy game set in the Wild West with 3D graphics and an original take on card collecting. Players “explore the open frontier while fighting the hostile takeover plans of notorious oil tycoon, Orville Driller…building their own outposts, collecting cards to summon allies and encounter a wide range of characters, each with their own, unique personalities in their mission to save the Wild West”. This may be Next Games’ debut title, but the studio is made up of veteran talent from Supercell, Rovio and Disney so it looks promising. Need to relieve a little stress? Breath of Light offers up a calming puzzle experience which has players guiding flows of energy by re-positioning rocks around a “mystic garden” to gently redirect the flow such that it reaches all of the burgeoning lotus blossoms, helping them to bloom. Keeping with the theme, completed levels serenely flow into one another and the challenge gets more complex as you progress through levels and new elements are introduced. To round out the zen-like package Breath of Light features a soothing soundtrack which is best enjoyed with headphones. Who doesn’t like a little mystery? The Trace. 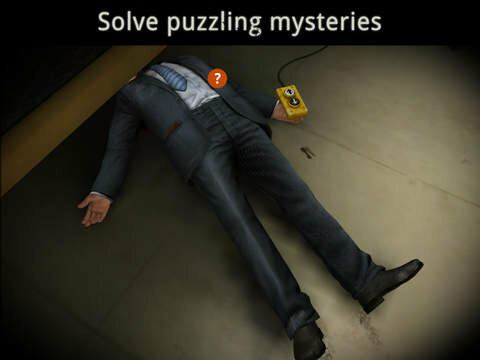 It is a captivating murder mystery game which puts you in the well-worn shoes of a detective trying to solve a series of murders by investigating crime scenes, collecting evidence, examining the evidence for prints and reconstructing crimes. The narrative written by Sherlock: The Network author David Varlea, coupled with the first-person play style and 3D graphics lead to a truly immersive and engaging experience. It feels like you are living out an episode of Law and Order. This is a really well made game and easily worth the $4.99 price tag. You definitely do not want to miss out on this one this week. Finally, Telltale has released the third episode in its thrilling Game of Thrones Game Series, marking the halfway point in this tale about the fate of House Forrester. If you previously purchased the season pass, then episode 3 (titled “The Sword In The Darkness”) will be available for you to download within the app. Otherwise you can purchase the individual episode as a $4.99 IAP, or get the episode 2-6 season pass for the discounted price of $19.99. And that will do it for this week, hopefully we’ll have Boss Monster to talk about next week, as well as a number of other new games including the big Blackrock Mountain expansion for Hearthstone.